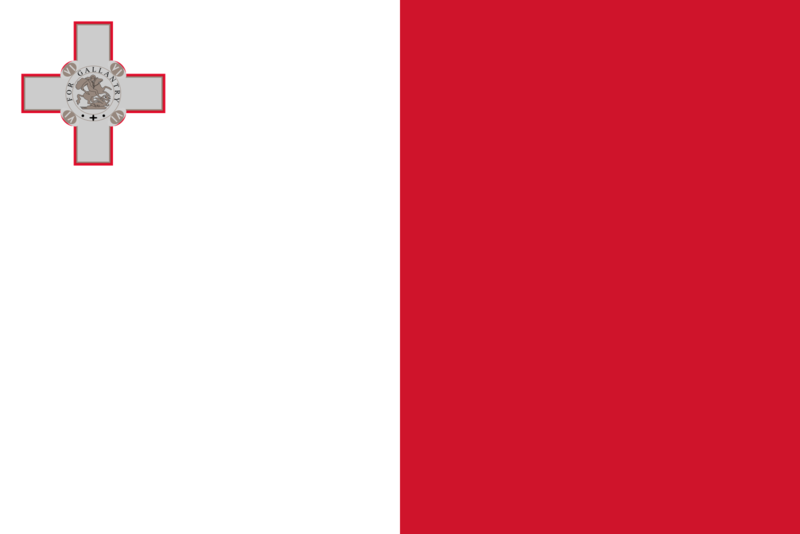 The flag of Malta is a basic bi-colour, with white in the hoist and red in the fly. A representation of the George Cross, awarded to Malta by George VI of the United Kingdom in 1942, is carried, edged with red, in the canton of the white stripe It is the custom to display the National Flag of Malta only from sunrise to sunset on buildings and stationary flagstaffs in the open. However, it may also be displayed at night on special occasions, and in such case it should preferably be floodlit.